On Christmas Day, 1991, President George H. W. Bush addressed the nation to declare an American victory in the Cold War: earlier that day Mikhail Gorbachev had resigned as the first and last Soviet president. 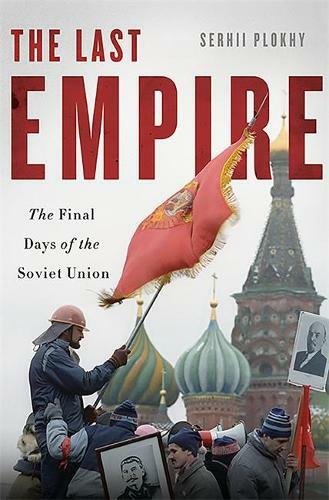 The enshrining of that narrative, one in which the end of the Cold War was linked to the disintegration of the Soviet Union and the triumph of democratic values over communism, took centre stage in American public discourse immediately after Bush's speech and has persisted for decades,with disastrous consequences for American standing in the world.As Prize-winning historian Serhii Plokhy reveals in The Last Empire , the collapse of the Soviet Union was anything but the handiwork of the United States. On the contrary, American leaders dreaded the possibility that the Soviet Union,weakened by infighting and economic turmoil,might suddenly crumble, throwing all of Eurasia into chaos. Bush was firmly committed to supporting his ally and personal friend Gorbachev, and remained wary of nationalist or radical leaders such as recently elected Russian President Boris Yeltsin. Fearing what might happen to the large Soviet nuclear arsenal in the event of the union's collapse, Bush stood by Gorbachev as he resisted the growing independence movements in Ukraine, mouldova, and the Caucasus. Plokhy's detailed, authoritative account shows that it was only after the movement for independence of the republics had gained undeniable momentum on the eve of the Ukrainian vote for independence that fall that Bush finally abandoned Gorbachev to his fate.Drawing on recently declassified documents and original interviews with key participants, Plokhy presents a bold new interpretation of the Soviet Union's final months and argues that the key to the Soviet collapse was the inability of the two largest Soviet republics, Russia and Ukraine, to agree on the continuing existence of a unified state. By attributing the Soviet collapse to the impact of American actions, US policy makers overrated their own capacities in toppling and rebuilding foreign regimes. Not only was the key American role in the demise of the Soviet Union a myth, but this misplaced belief has guided,and haunted,American foreign policy ever since.